Disclaimer: I am not a doctor, nor a medical professional. I am merely sharing information on a test that I had done for my daughter, to assess her asthma management protocol. Please consult a doctor with any medical questions or concerns, thank you! As I wrote about in my post about Qvar, I have been pleased with its effects. 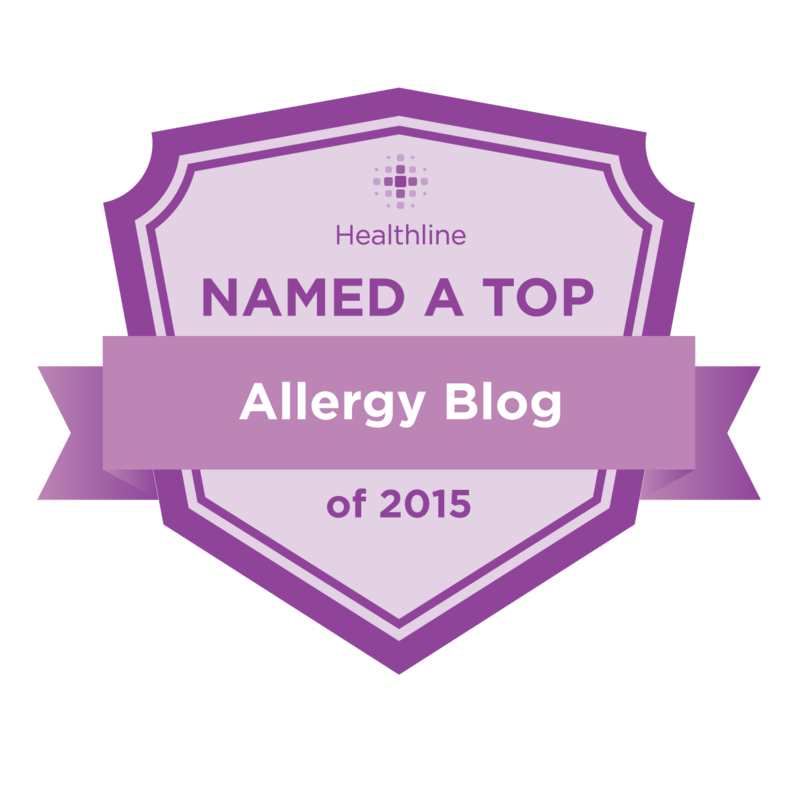 I had heard about FeNO testing, and asked our allergist about having it done for my daughter, as a way to gauge her progress. What is FeNO testing? FeNO is short for "Fractional Exhaled Nitric Oxide." According to Wikipedia, "Nitric oxide (NO) is a gaseous molecule produced by certain cell types in an inflammatory response." It can be used to determine whether symptoms shared by other conditions can be attributed to asthma, and can also give an indication of whether the patient would benefit from Inhaled Corticosteroid (ICS) treatment. Another use of FeNO testing is to gauge how well a course of treatment is going. We pursued it for the latter reason, since my daughter had been on Qvar for over a year. 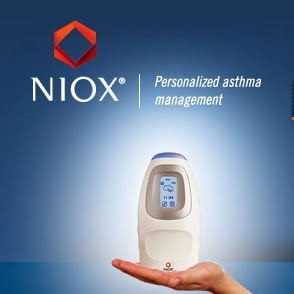 The device used was the Niox Mino. At our appointment, they had my daughter, who is 5 1/2 years old, sit in front of the machine, which was placed on a desk. They attached a disposable mouthpiece and instructed her to place her lips on it and take a deep breath in from the machine, until an indicator told them it was good and then she was told to breathe out for about 10 seconds. It took us a few tries, but she got it and they were able to get a good reading. This process was different and not as "exciting" as the Lung Function Test she had done, previously, where she was able to blow out birthday candles and make a balloon float across a waterway. There isn't really a "kids' version" for the FeNO test, but it was over and done with rather quickly, so that was not an issue. We are definitely adherent to the treatment plan. I can't say we never miss a dose, but it is a rare occurrence. She is currently on two 40mcg puffs, twice daily. Though the allergist did not bring it up, we could consider lowering her dose and/or tapering off, but I am not going to pursue that, just yet, and we will discuss it at her next appointment. My only minor concern with taking the test is that my daughter sprouted two very small pink spots on her face after the test and the thought occurred to me that she had to take in a deep breath from the machine. I was concerned about "shared air", so I called the makers of the Niox Mino. They said that the internal chamber has an "NO (nitric oxide) scrubber" that removes NO particles from the previous test (for up to 100 uses, I believe) and the mouthpiece has a filter on it, so they didn't think allergenic particles would be an issue. My daughter's spots may have been unrelated and nothing more came of it, but I thought I would mention it, since it was part of our experience. In any case, I am glad that I had the test done and it was comforting to receive a value only one tick above the minimum detectable level. Whether this proves to be because the Qvar is doing its job, or because she has improved to the point of no longer needing the Qvar, remains to be seen. During my research, I also found this document ("An Official ATS Clinical Practice Guideline:Interpretation of Exhaled Nitric Oxide Levels (FENO)for Clinical Applications") that may be helpful. Has anyone else had FeNO testing done? Did you find it helpful?